While off road driving, there is generally a need to deflate your tires to match the various terrain conditions. As you need to deflate your tires, there is also the need to inflate them again afterwards. It is handy having a way of doing this on your vehicle. This is even more relevant when you are in a remote location. To meet this requirement, I fitted an ARB compressor to the Discovery. In the past I had fitted an air compressors under the bonnet of my Discovery 1. This is a good place for the install but the compressor is subjected to heat and dust, especially within Australia. 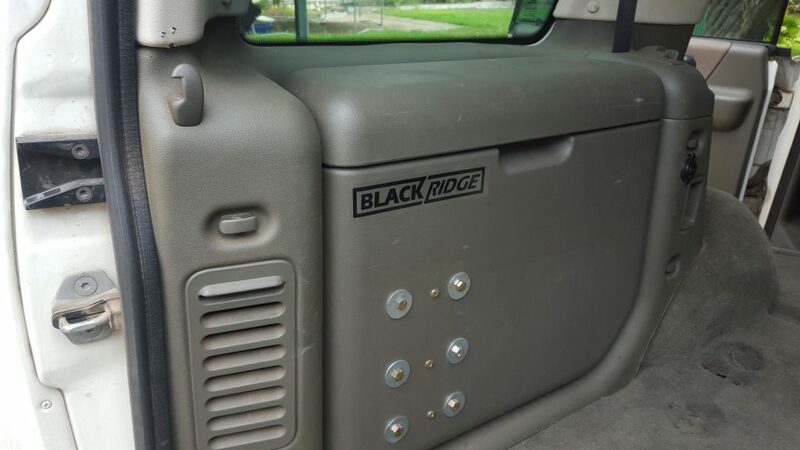 They are probably built for these conditions, but I decided to do something a little different and mounted mine in the passenger side, rear storage pod. I never used to use this space for storage as it was hard to recover things from the bottom of the pod when the drawer system was installed. It was an excellent use of otherwise wasted space. To start with, and to see if it was a good place or not, I started with a compressor that I had left over from the sale of my previous Discovery 1. I decided to install the compressor in this spot to help protect it from the outside environment. Enclosing it in such a confined space did worry me a little bit about overheating problems. I used the compressor quite a lot installed in this location and sticking to it’s recommended duty cycles, I had no problems with overheating. The compressor ran well like this for a number of years. 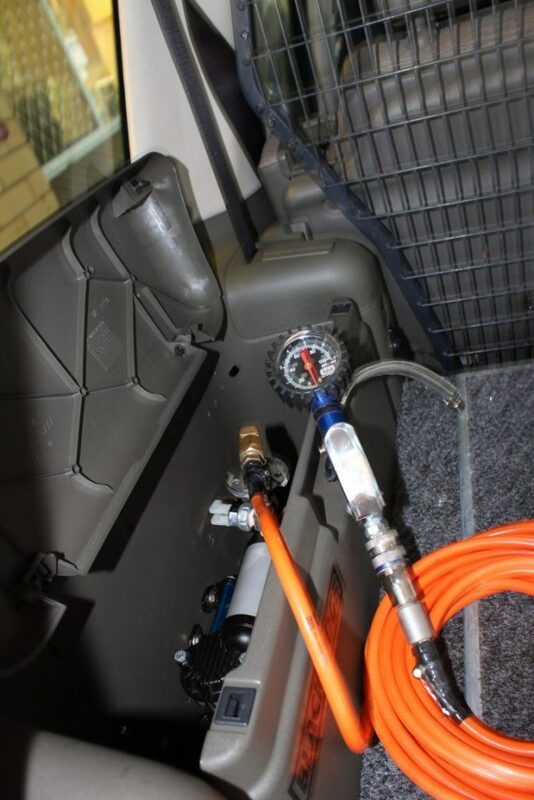 While at the Adelaide 4×4 Show, I bought myself an aluminium 4ltr Air tank to hook up to the compressor. My intention was to run the odd air tool from this and have the ability to re-bead a tire onto its rim if it was required. After shoehorning the tank into place it was clear that the existing compressor wasn’t providing enough air to allow for this. 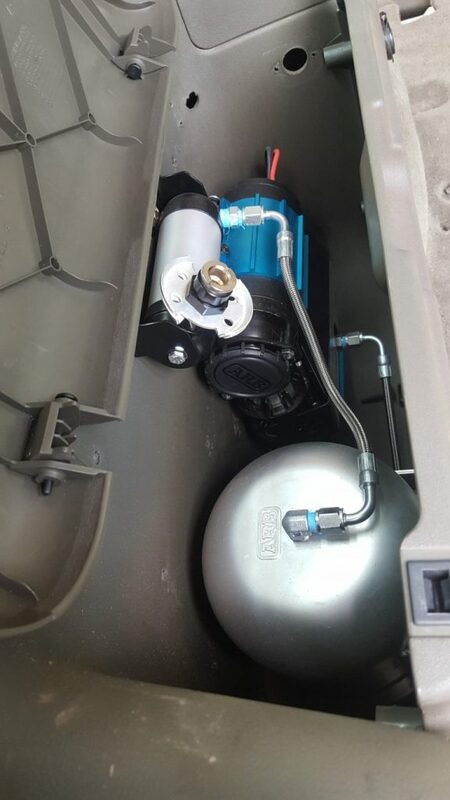 I decided to upgrade it to an ARB Twin Compressor (ARB CKMTA12). This compressor and air tank worked really well. It provided very quick tire inflation when off the beaten track, allowed the use of air tools like rattle guns for the wheel nuts and whilst crossing the Simpson Desert it was used to re-seat the bead on two of my travelling companions’ tires. Very impressive. So impressive that took it out and installed it onto my Defender when I sold the Discovery. The Defender installation is also documented on this site and has some improvements on this install. 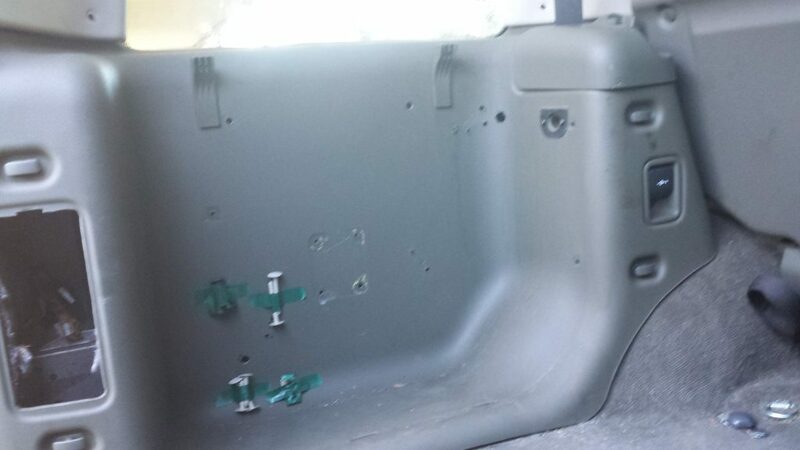 Below are some pictures of how it looked when it was installed.